Everything, it seems, comes from the rainforest – from the leather in your shoes to the wood fibers in your flannel shirt. Some are harvested sustainably, but many aren’t – and until recently, it was nearly impossible to tell the difference. Here’s why that’s changing, and how you can accelerate the process. 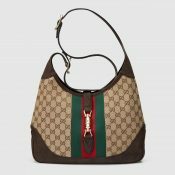 17 December 2016 | Have you seen Gucci’s retro “Jackie” bags, patterned after one of Jackie Kennedy’s favorites? In the past decade, scores of companies have committed to delivering “deforestation-free” commodities, and some are already making good on their promises, while others seem to be making an honest effort to do so. 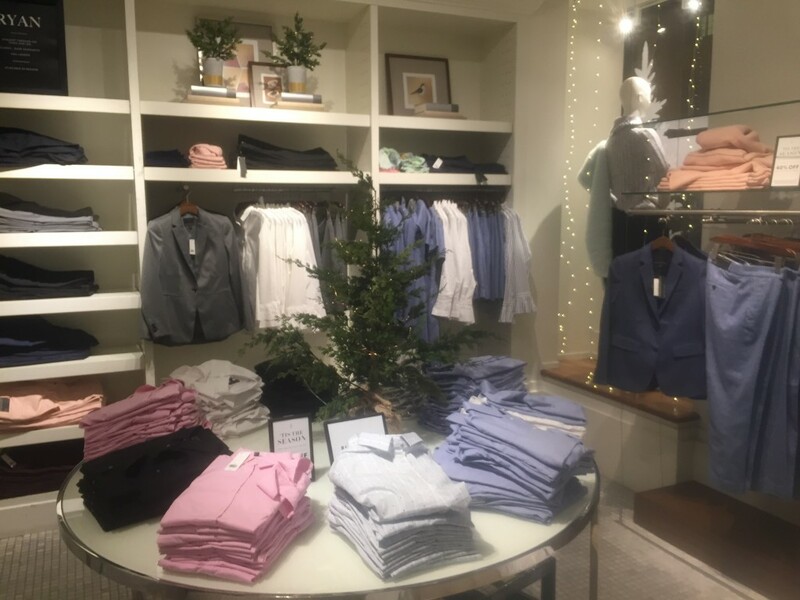 But clothing also comes at the expense of trees, as Canadian boutique owner Cathy Reid recently found after receiving a holiday shipment of nightgowns. But then a customer read the label, and found they contained something called “rayon”, which Reid soon learned is a “cellulosic fiber” made of trees. Supply Change tracks the progress that companies report towards keeping their promises to sustainably source the “Big Four” deforestation risk commodities. That started to change when manufacturers like New Balance and Louis Vuitton, as well as retailers like Inditex/Zara and C&A, started promising to chop deforestation from key commodity supply chains. Then NGOs like CDP (formerly the Carbon Disclosure Project) started rating companies based on their commitments. Last year, the Forest Trends Supply Change project started tracking the progress that companies report toward achieving those commitments – providing in the process a fascinating glimpse into the complex, interlocking global supply chains that stretch around the world, involving cattlemen and loggers, as well as subsistence farmers and indigenous people who harvest the commodities we buy as leather, linen, and lipstick. Most of the apparel companies Supply Change tracks do intend to trace their leather supply, and a few, like New Balance and Coach, require all their suppliers to submit signed assurances that their cattle doesn’t come from the Amazon. Coach says its suppliers have done so. Roughly 20% of all wood products are certified under either the Forest Stewardship Council (FSC) or Program for the Enforcement of Forest Certification, but certification efforts only began to seriously consider wood fabrics three years ago. 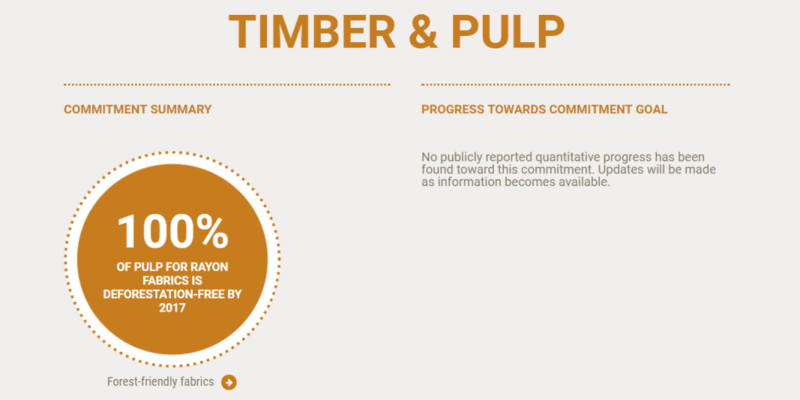 As we saw earlier, only seven companies have committed to sustainably source wood fibers embedded in their clothes, and none of them have reported progress. Does your company have a zero deforestation policies that cover worldwide production of cattle/leather and wood/clothing fibers? Has your company begun implementing its policy, including holding suppliers to account?